#25. 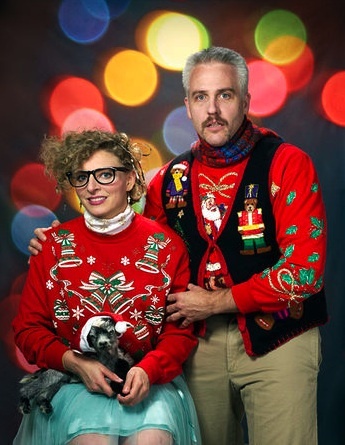 This trio of Christmas hipsters. #24. 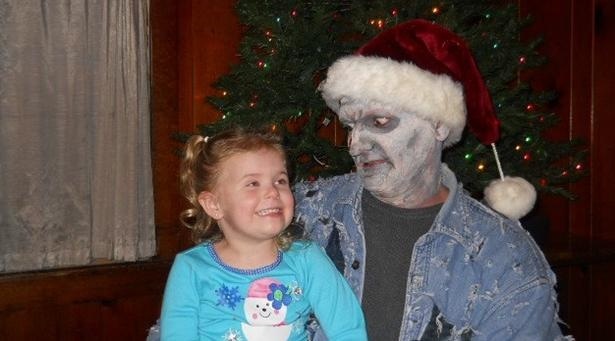 Zombie Santa and the little girl that loves him. #23. 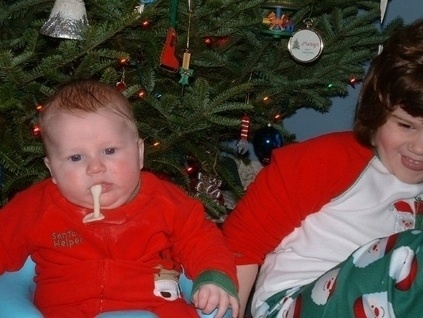 This baby that is just overflowing with the Christmas spirit. And vomit. #22. 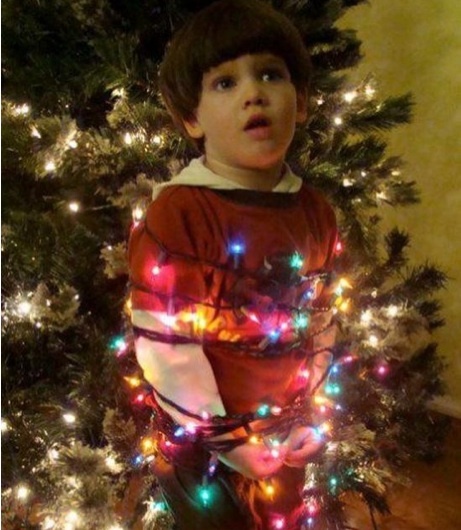 This kid for doing whatever he did to end up in Christmas lights jail. #21. 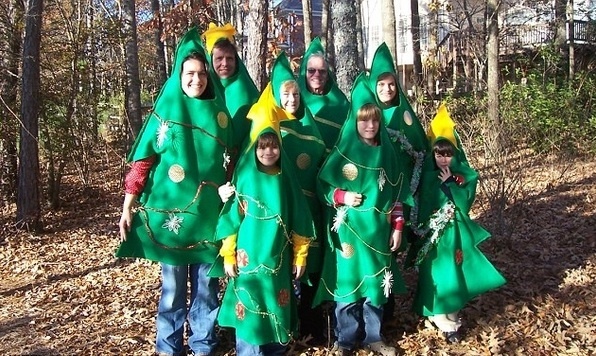 This family of Christmas trees. Not for their costumes, but for managing to look happy about wearing them. #20. This guy's wife, for putting up with him. #19. 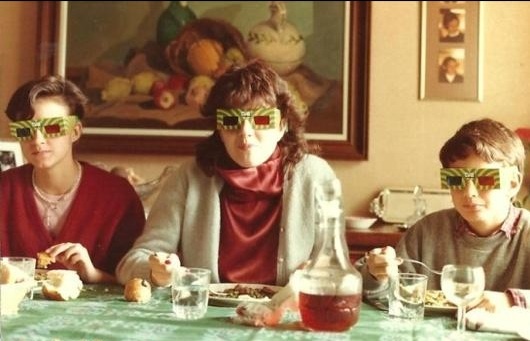 This family that thinks they need special glasses to see life in 3D. #18. 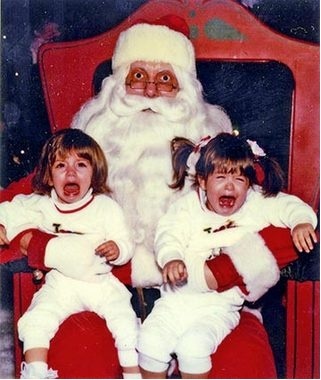 This Santa for his unrelenting patience. #17. 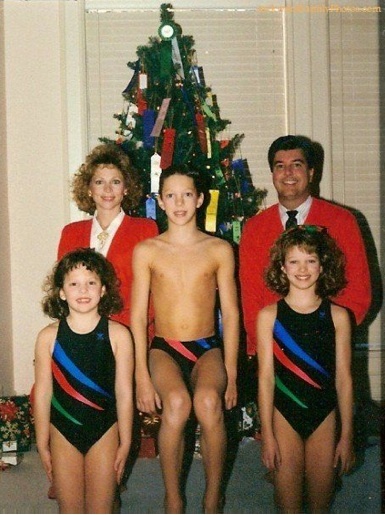 The kid in the middle for not being afraid of shrinkage. #16. This homicidal toddler in a plush velvet track suit. #15. Dad, for lettin' it all hang out there. #14. 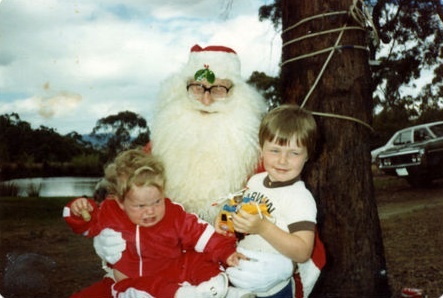 Hunky Santa for managing to keep a straight face. #13. Mom, for wearing Frederick's of Hollywood in and out of the bedroom. #12. 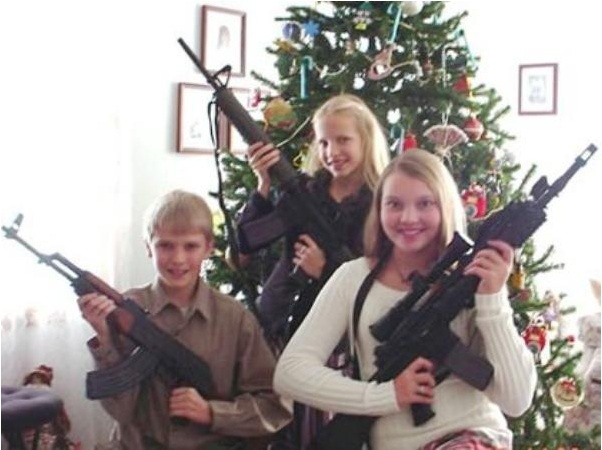 The kid in the back for having the cajones to ruin a family photo. #11. 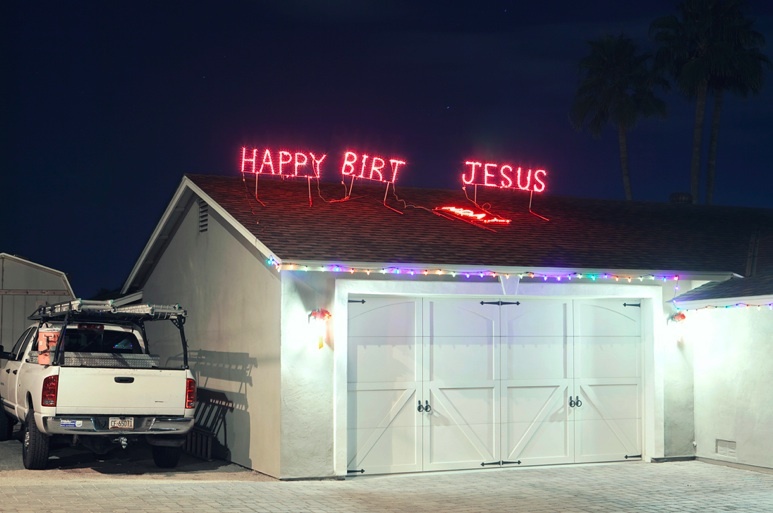 The property owner with enough enthusiasm about Jesus to buy and install the sign, but not enough to repair it. #10. For everything about this picture, but especially the baby goat. #9. 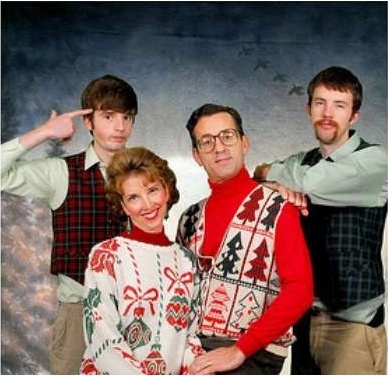 This family for confusing Genesis with the birth of Christ. #8. 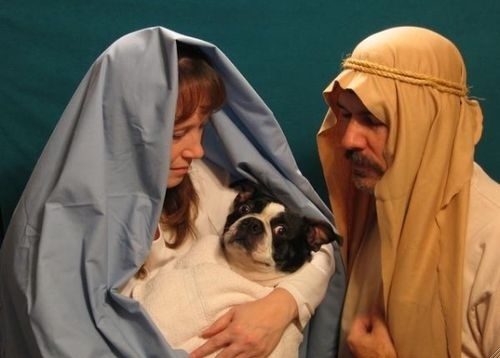 This couple for saying, "Baby Jesus, bulldog. Potato, pot-ah-to." #7. 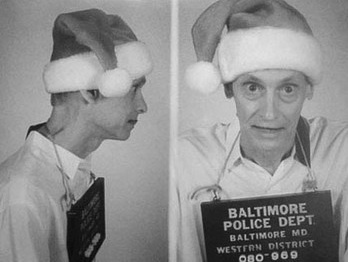 This guy, for convincing the cops to let him keep his hat on for the mug shot. #6. This woman, for her will to live. #5. These guys, 'cause I want them to come over to my house and do the same thing. #4. 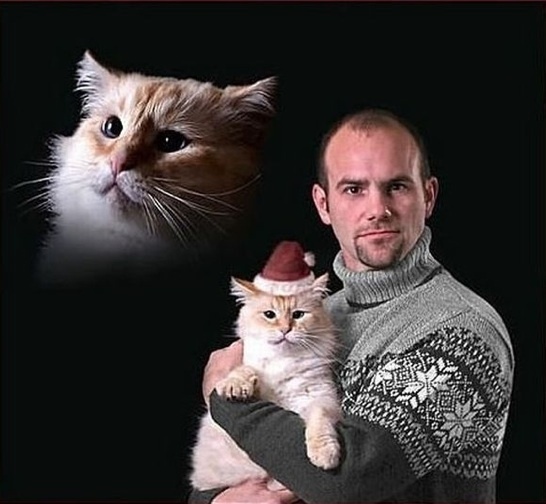 That cat, for being a trooper. #3. 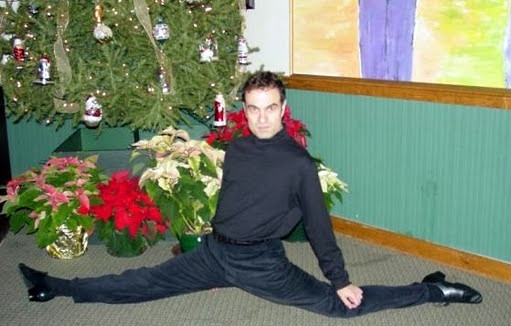 This guy, for livening up the holidays with his sweet gymnastics skills. #2. 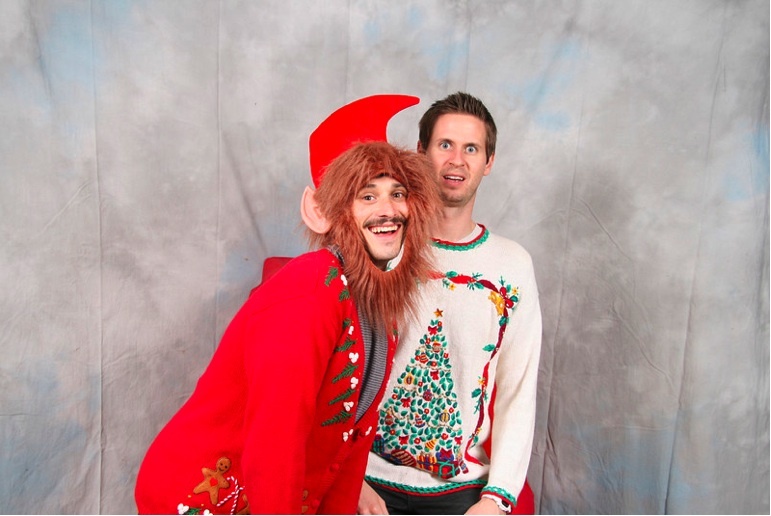 Because who doesn't love a gay Christmas elf? #1. Because Jesus loves winners! 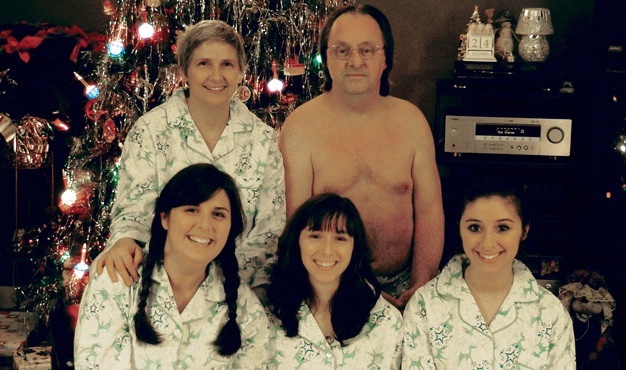 Categories: Character, Random | Tags: awkward christmas photos, Awkward holiday photos, Top 25 | Permalink.